This is a magnetic board with a technology by which we can write and draw on it with a magnetic pen. It is a very good product for babies by which they can draw and write endless times without wasting papers and pens. 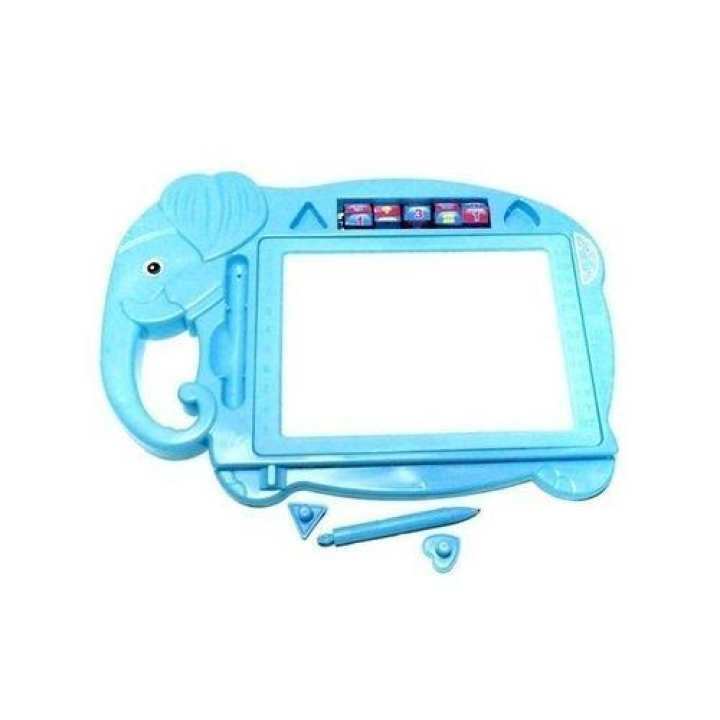 This board will fulfill his or her expectation and needs of write and draw with an attractive shape as elephant will increase their eagerness to use the board. It also includes the magnetic pen by which the baby has to write or draw. Product quality is good. My child loved it and using it. The erasing slider could be better. bkash a pay korle ki cashback paoa jabe?